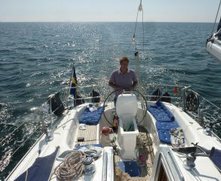 Whether you are looking to rent a sailing boat with friends or family, there are lots of exciting ways to spend a long weekend aboard our yacht in in the Öresund region and enjoy both Sweden and Denmark in one trip! 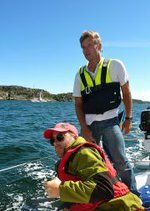 Cast off from Limhamn, Malmö and enjoy a leisurely four hour sail to the beautiful island of Ven. Rent bicycles for the day and explore Ven before taking a well deserved drink at one of the quayside bars or restaurants. With first class fishing equipment onboard you can also fish for cod off the northern point of Ven, before sailing South along the beautiful Danish coastline. 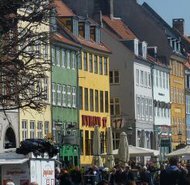 Three hours later you could be moored up in the heart of Copenhagenand soaking up the culture and the relaxed atmosphere of Nyhavn in the Danish capital. 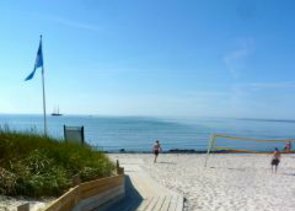 Stop for lunch at the tiny Danish island of Flakfortand explore the fort or a round of crazy golf on route back toMalmö on your final day. Cast off from Limhamn, Malmöand sail South along the Swedish coastline to beautiful Skanör. 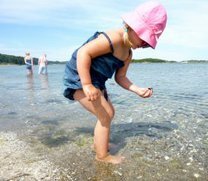 Enjoy the wonderful white sandy beaches and tourquise seas of Falsterbo or take a walk along the sand dunes to Falsterbo lighthouse, andexplore the lovely old villages ofSkanörand Falsterbo. Enjoy a fresh fish supper at one of the fantastic quayside seafood restaurants. 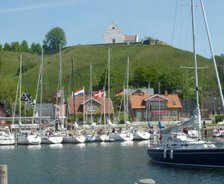 The next day, enjoy a sail across the Öresund to the beautiful fishing village of Dragör, Denmarkfor lunch. Bargain with the local fishermen as they come into the harbour with the catch of the day, explore the fishing village or stretch your legs with a coastal walk. A short sail will take you under the Öresund bridge to Copenhagen where you can moor up right in the heart of the buzzing Danish Capital before returning the next day to Malmö.